About an hour and a half from home is a 7000 acre wildlife refuge that we visit several times each year. 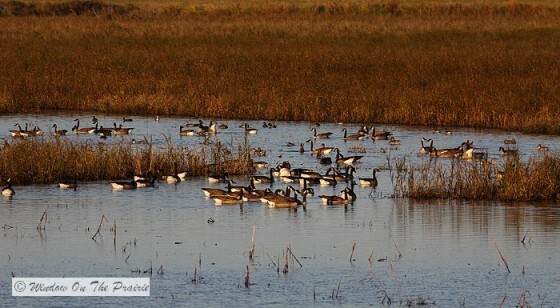 It was established in 1935 as a resting, feeding, and breeding ground for migratory birds and other wildlife. Most of it is a wetland, so we see ducks, geese and other waterfowl. 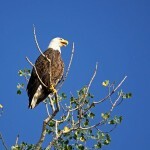 There are also bald eagles there – both nesting, and migrating. There is a road winds around the refuge and so we can take pictures from our truck, and the birds aren’t as spooked because they are used to the vehicles. Last weekend, we visited the refuge, and while there weren’t large numbers of migrating birds just yet, there was still a lot to see. 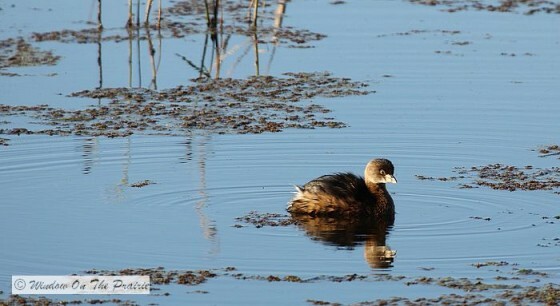 We watched this Pie-billed Grebe for a while. He had been bathing and shook the water from his feathers. 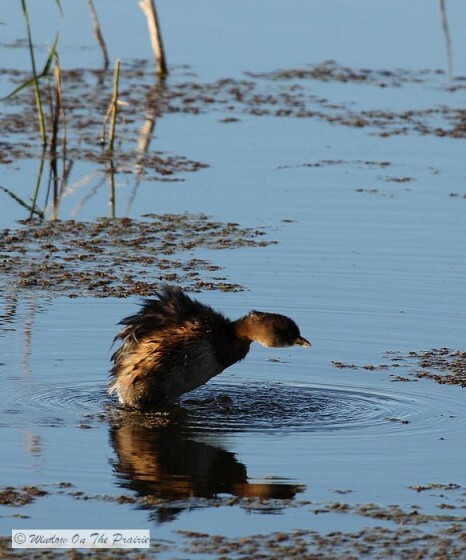 Pie-billed Grebes aren’t seen flying very often because they dive under the water when threatened, and migrate at night. and then landed not too far from us. 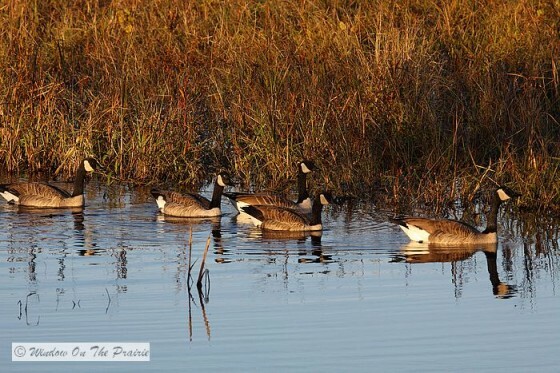 This group of Canada Geese were out to forage for weed seeds. They later disappeared into the grass. 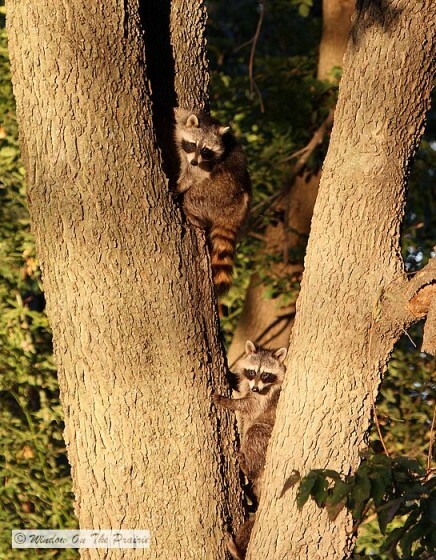 As we passed a forested area, a group of Raccoons saw us and all climbed a tree for safety. These 2 peeked out at us. There was a colorful sunset that evening. The ducks did some last minute feeding before resting for the night. And a flock of swallows flew over the water in search of flying insects. We had to make a mad dash for the exit as the gate closes at sundown. fast running trout streams and farms. Your blog is lovely to read. My husband and I visited Wisconsin on our honeymoon. Beautiful state, just lovely. This looks like just a beautiful place. I can see why you would like to visit. As always, your pictures are perfect! It’s a very peaceful place, and we love to go there. Great content and pictures. I really enjoyed it. Thank you! You’re welcome, thank you for visiting! 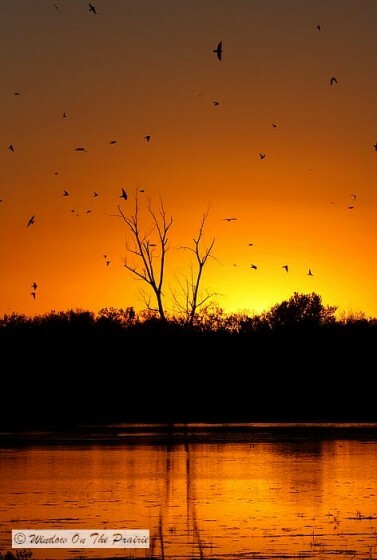 The last pic of the sunset and birds flying near the tree is marvellous! Thank you! Sunsets can’t be planned and I was very lucky on that one. Love your post today. Lovely photos. Racoons are so funny. I get them on my deck and have had the babies, it so so cute when they seem to be playing peek a boo. We don’t see raccoons much, so it was fun to see them that evening. 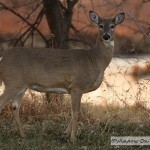 All the resident animals there are not hunted(except for the deer), so they are more used to people. Great photos, Suzanne! We’ll soon see the swans in the north end of the lake, geese have been here for a while. 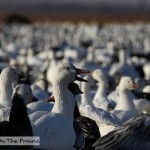 Do you ever see the sand hill cranes down your way? Have only seen them once in S central MT and they were amazing. I wish swans came our way, would love to see them. We don’t see sandhill cranes here hardly ever. We did see a lot of them last winter when we visited New Mexico and Utah. What a fabulous bird to watch, and I love their call. Lovely pictures!! 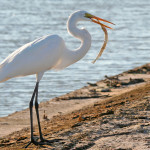 One of the things that I hope to do before I die is to go on a birding tour. .or many of them–I love their beauty! Thanks for sharing. 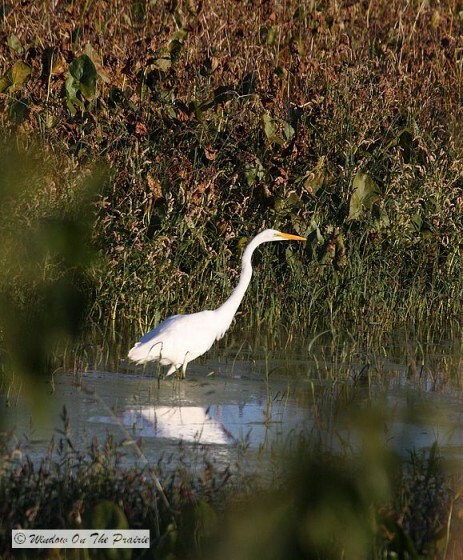 We don’t have much water where we are, so it’s fun to go to Squaw Creek and see all the water birds there. Such fun. 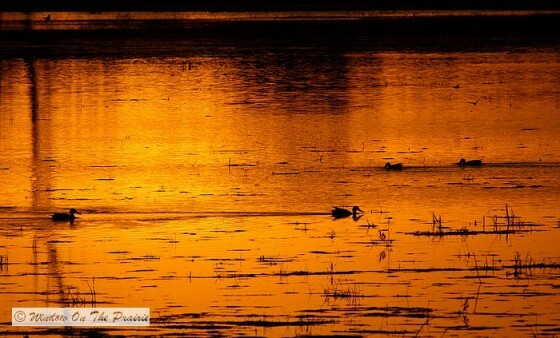 The pied-bill grebe is one of my favorites also the wood duck and the old squaw! 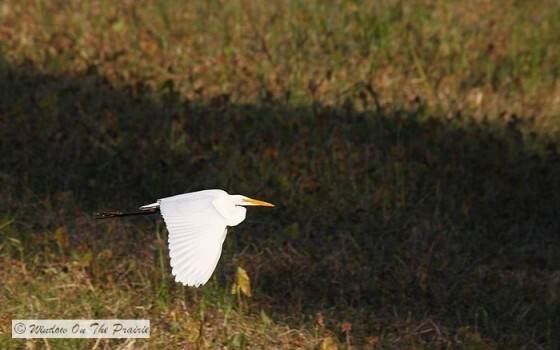 My children and I go bird watching once a week,the migrating birds are leaving here now and heading your way. 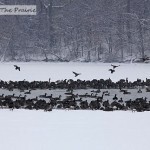 The migrating geese and ducks have not shown up here in full force yet! I don’t think we had ever seen a pie-billed grebe before that one we saw that day. He was such a funny bird to watch. Can’t wait for the ducks and geese to migrate our way. Fun time of the year. I just love to look at your site. Makes me want to go out and photograph more. Our ducks are out right now, hiding from the hunting. Need to get out and get some pictures. Thanks for your inspiration! I love taking pics and am inspired too by other photographers. We all have a camera, but see the world in different ways. Go for it. Beautiful pictures! May I ask what kind of a camera you use? Thank you! The last couple months I started using a Canon 50D. Before that I had a Canon G9. The 50D is more difficult to use, but has more options and better pic quality. Am having a blast with it. Susanne…havent been on your site for awhile…what an amazing place. The sunset photos were breattaking and the pics of the racoons were sooo cute..
What a beautiful place. So much wildlife. I love it. such beautiful photos! I’d like to get back there yet this fall when the migration really picks up. What fun. Oh wow that is something so beautiful to see and I love the geese and water fowl.Thanks for the beautiful sunsets pictures you took. Will try to get back there later in the Fall to take more pics when the migration picks up. I am here in central Mi… I love seeing the new babies on the farm and all the wildlife in our lakes and streams and in the woods.. the way time flies it wont be long and we will soon see the little fawns.. we went for a ride on our buggy last weekend and the sounds of the frogs croaking is awsome..sure sign Spring is here..
A ride in a buggy sounds heavenly this time of year. Lucky you!